It's sad but true that women are often an underserved and even forgotten part of our everyday lives. Many women sacrifice their own health and wellness for their kids, their spouse, and others around them just to keep it all together. This is something a San Diego, CA-based certified holistic health coach named Nikki Jencen recognized a long time ago and is now seeking to inspiring women to make changes within themselves to create a better future for us all. 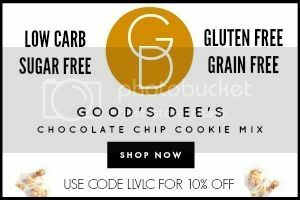 Nikki is a gluten Free and Paleo Chef who specializes in helping her clients with gluten free living and weight loss. She carries degrees in Sociology, Social Sciences, Broadcasting, and is certified in Nutrition and the Culinary Arts. Nikki is on the podcast today to talk about two exciting projects she is sharing in 2016 that will be focused on general health for everyone as well as specific wellness strategies that will empower and encourage women. Listen in as Jimmy and Nikki discuss the upcoming 2016 Mega Wellness Summit beginning with FREE access to the 2015 event starting this week on March 5, 2016 and the new summit commencing on March 13, 2016, why helping women especially is so critically important to everyone's health and well-being, her Women's Wellness Academy designed to be a resource for women who are struggling to get their health in order, and so much MORE! This is one podcast interview that every woman and special lady in your life should hear. So many people are taking prescription medications these days under the direction of their primary care physician assuming that their family doctor has vetted out all the potential ramifications of those drugs. But sometimes the patient isn't told about the side effects that certain medications are having on their weight leading to frustration when the scale refuses to budge. This is something that an Olney, Maryland-based licensed practicing board certified family and bariatric medicine physician named Dr. Spencer Nadolsky from DrSpencer.com (listen to Jimmy's previous interview with him in Episode 880) has seen so many times in his own patient population that he decided to write a book detailing this and other fat loss obstacles. 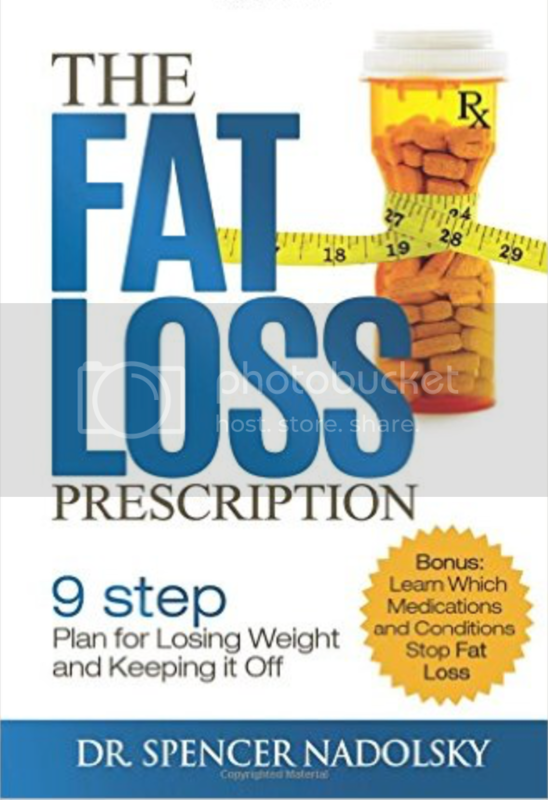 It's called The Fat Loss Prescription: The Nine-Step Plan to Losing Weight and Keeping It Off and provides excellent clinical advice from an obesity doc who cares about using evidence-based approaches to shedding pounds. Listen in as Jimmy and Dr. Spencer dive into this topic and more! 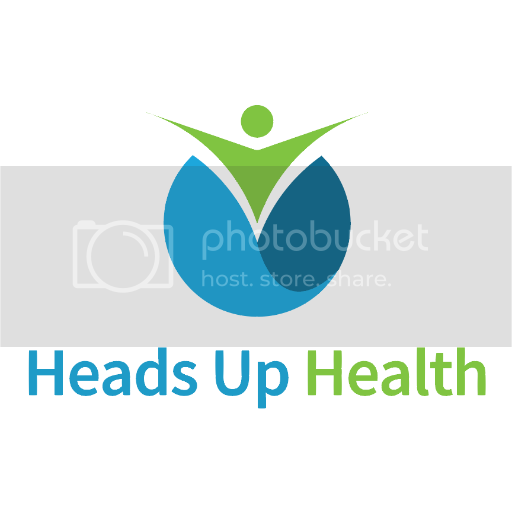 We all want to optimize and supercharge our brain health naturally and now there is an entire category of lifestyle and supplement protocols dedicated to doing just that. It's called nootropics and a subject we've covered previously on this podcast in Episode 1008, Episode 989, and Episode 949. And today we have Certified Functional Medicine Practitioner and Certified Nutritional Therapist Evan Brand from NotJustPaleo.com and the man behind the microphone on the popular iTunes health podcast called Not Just Paleo sharing his knowledge and experience about nootropics. 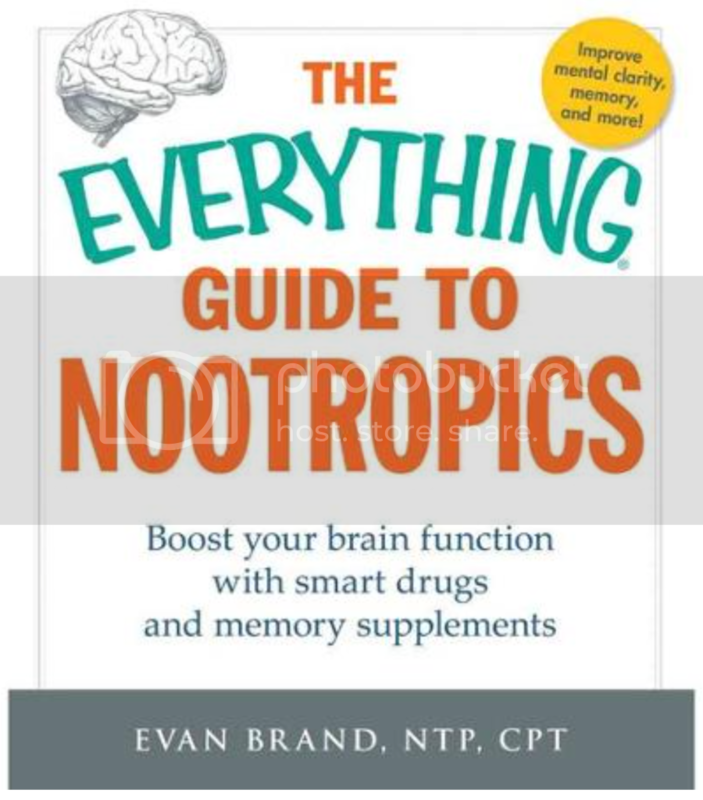 Evan has written a book all about it entitled The Everything Guide To Nootropics: Boost Your Brain Function with Smart Drugs and Memory Supplements and he's here to unveil his best brain-boosting tips. Listen in as Jimmy and Evan have a fascinating chat all about this topic. It's the dream of every parent--your kids not only eating a more healthy diet, but also choosing to eat that way of their own accord. Can you imagine giving your child free reign to roam about the grocery store or farmer's market and let them choose whatever they wanted only to find them making mostly outstanding choices? And most importantly, when you're not around to watch them choose the food they eat...they choose real food over crappy carbage. Is this just a dream? For an Adelaide, Australia-based chiropractor, wellness expert, Paleo podcaster, and author named Dr. Brett Hill (and a father of young children) from DrBrettHill.com, he says this scenario is an easy-to-envision reality. Dr. Hill is the cohost of two of the hottest iTunes health podcasts in the land of Oz called "That Paleo Show" and "The Wellness Guys Show" where he often talks about how parents can craft language that makes kids excited about choosing to eat well. 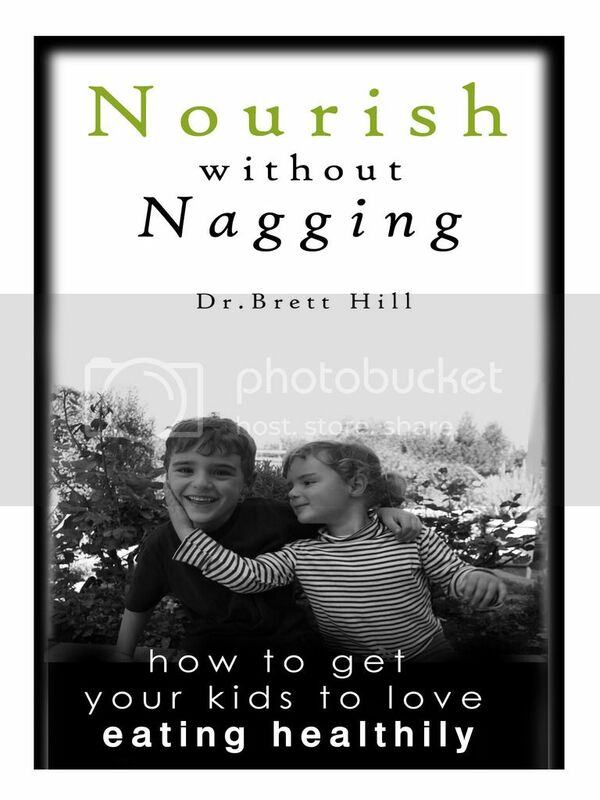 He's penned a fantastic Kindle e-book about this very topic entitled Nourish Without Nagging: How to get your kids to LOVE eating healthily. Listen in as Jimmy and Dr. Hill have a practical and fun conversation talking all about kids and nutrition. The Public Health Collaboration will be a charity focused on supporting research and investigating pressing public health issues concerning the UK. On a quarterly basis we will publicly publish reports on these issues alongside coordinated campaigns for change. In the UK 25% of adults are obese, the highest prevalence in Europe, and type 2 diabetes has risen by 65% in the past 10 years with no sign of slowing down, both cost the NHS £16 billion a year. The PHC will illuminate the solutions to turn it all around. Through INDIEGOGO we need to initially raise £5,000 to help set us up as a charity, fund our team to write our first report to be published in April, as well as support our ambitious research and campaign plans to empower the public and medical community. 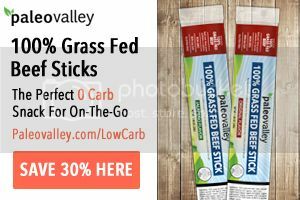 We've longed to have something big happen in our culture where the real food, low-carb, high-fat message gets out there in a major way--and it has FINALLY happened in 2016. 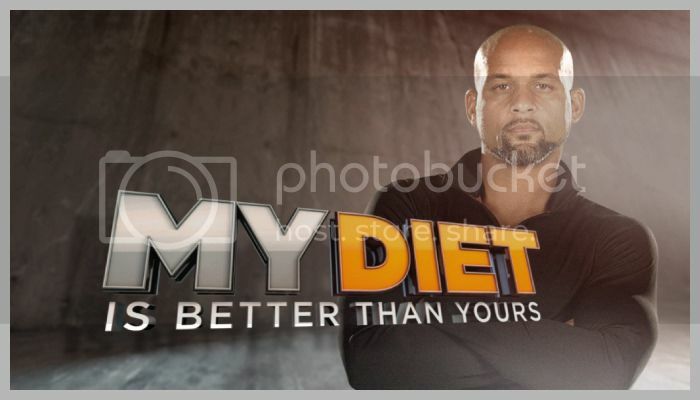 Perhaps you were able to watch the 8-episode ABC weight loss reality television show called My Diet Is Better Than Yours the past couple of months where popular fitness and nutritional health leaders were teamed up with everyday Americans who needed to lose weight and improve their health. The show was hosted by noted celebrity trainer Shaun T and featured plans such as a food swap program, a juicing regimen, and...an explicitly low-carb, high-fat diet from one of the most recognized names from the Paleo community. His name is Abel James from FatBurningMan.com and the host of the #1 iTunes Fitness & Nutrition podcast The Fat Burning Man Show. 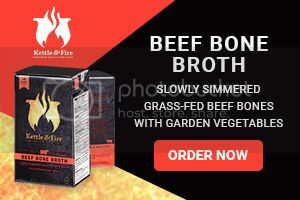 He is the author of the New York Times bestselling book called The Wild Diet: Get Back to Your Roots, Burn Fat, and Drop Up to 20 Pounds in 40 Days (listen to Jimmy's interview with Abel about this book in Episode 939) and was able to see great success with his contestant Kurt on the show. Listen in as Jimmy and Abel talk about this experience, how his contestant Kurt faced some seemingly insurmountable odds to become one of the major contenders on the show, the stunning results he saw in just 14 weeks eating low-carb, high-fat, how eating real foods (especially fat!) helped Kurt tremendously, the flawed format of the show based on weight loss rathe than fat loss, the lack of significant exercise Kurt was able to do while on the show, why strength training is far superior to cardio when burning fat, and more. Whether you were a fan of the show already or if you're just learning about this for the first time (watch the series on Hulu or other on-demand television streaming services), enjoy this behind-the-scenes glimpse into how low-carb, high-fat got a major push in America in 2016! After the Periscope interview with Dave, we head back into the recording studio where Jimmy and Dave were joined by chiropractor and functional medicine practitioner Dr. Justin Marchegiani from JustinHealth.com to examine the clinical application of this new technology along with the key health markers ketogenic dieters should be tracking on their own personal health journeys. On yesterday's episode of "The Livin' La Vida Low-Carb Show," Jimmy interviewed a man named Peter Defty who is a triathlete coaching ultra-marathon and endurance sports athletes to tap into their body's natural ability to burn fat for fuel. 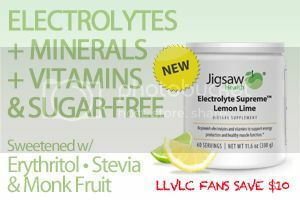 On today's show, we keep that conversation going with a great friend of the show, former endurance and Ironman athlete, health blogger, and bestselling author named Mark Sisson from MarksDailyApple.com who knows a thing or two about endurance athletics having competed at a very elite level over three decades ago in distance running, triathlons, and Ironman competitions. When his health began to take a nosedive as a result of his performance-driven dietary choices, Mark began investigating better ways to fuel his body and realized that carbohydrates were the problem not the answer. Now he realizes the mistakes he has made and is passing along this newfound wisdom to the athletes he is helping to compete at a high level with less training, less carbs, and quicker recovery. 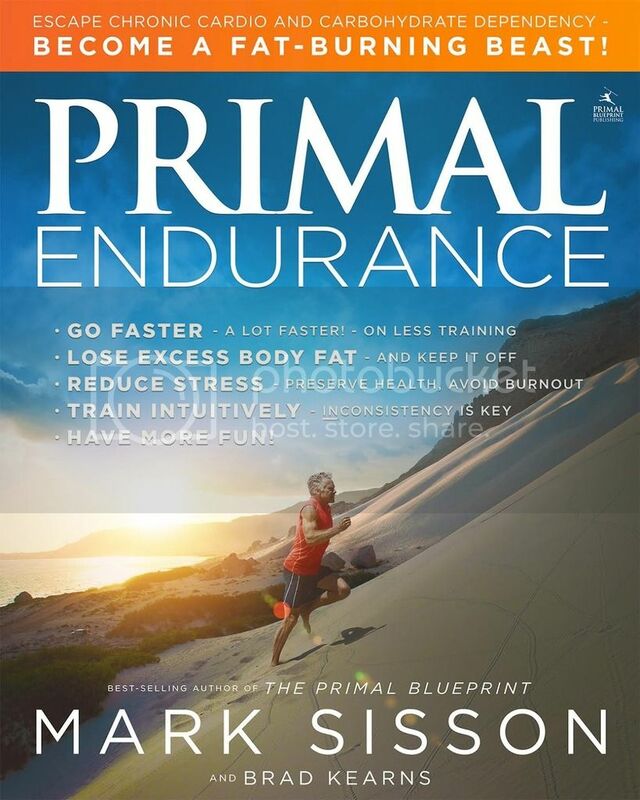 Mark has outlined it all in his compelling new book that is a must-read for anyone interested in the physiology of how the body moves entitled Primal Endurance: Escape chronic cardio and carbohydrate dependency and become a fat burning beast. Listen in as Jimmy and Mark dive head first into this critically important, cutting-edge topic! One of the surprising benefits to a ketogenic diet for a lot of people to discover is how some of the most elite endurance athletes in the world are now using this fat-adapted regimen to give them much more sustainable energy throughout their race. What this means is these athletes are actually eating a lot less of the very thing they were always told was the critical nutritional element in the performance success of their sport--carbohydrates! 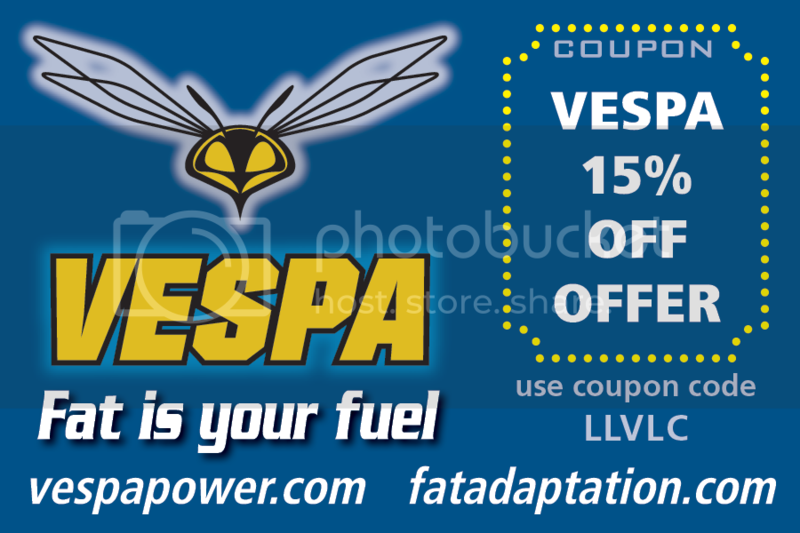 But for a triathlete and fat-adapted ultra-endurance sports athletics coach named Peter Defty from VESPAPower.com, he's long realized the idea of "carbing-up" before a race is based on decades-old flawed science. That's why he is taking the science of people like ketogenic research legend Dr. Stephen Phinney and training some of the best endurance athletes in the world to record-breaking performances, including Zach Bitter who we interviewed on this podcast back in Episode 944. Listen in as Jimmy and Peter talk about this awakening of fat-adaptation amongst athletes, the scientists who paved the way for this to be talked about now, the amazing brain health benefits of burning ketones as fuel, Peter's personal journey to fat adaptation, the athletes he's working with to teach them these principles, the actual science being used to promote this, and so much more! If you want to know about the role of ketosis in exercise performance, then this is the podcast for YOU! 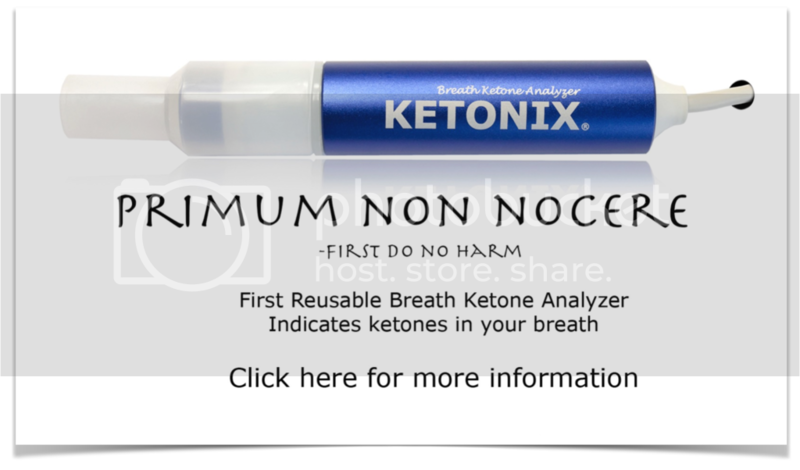 Ketogenic diets have seen a meteoric rise in popularity over the past few years as more and more people are recognizing the therapeutic use of a low-carb, moderate protein, high-fat diet for improving their health. 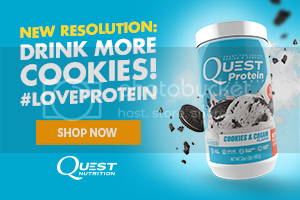 This has opened the floodgates of people wanting more information, recipes, and meal plans that fit this new keto lifestyle. That's precisely the need that a food blogger named Vanessa Collette from "Ketogenic Girl" (listen to her in Episode 172 of Low-Carb Conversations) is filling with her brand new Ketogenic Meal Plans & Coaching Services. Vanessa is currently studying to become a Registered Holistic Nutritionist to combine a formal nutritional health education with her passion for helping people optimize their health through nutritional ketosis. 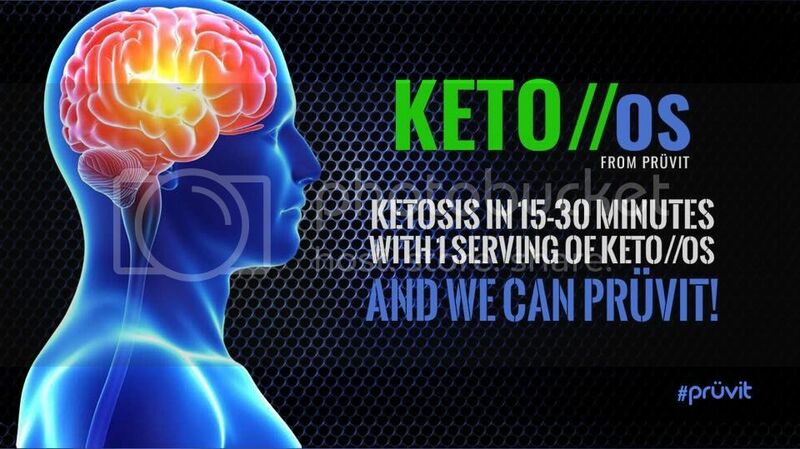 She understands the frustration so many people have to become keto-adapted and is committed to helping clients raise their blood ketones and lower their blood sugar levels. Listen in as Jimmy and Vanessa discuss why ketosis is the pathway to health for so many, why we all need to take control of our own health, how engaging in preventative medicine with nutrition beats drugs and surgery every day of the week, the immense benefits of keto and why it works so well, and her new ketogenic meal plans teaching people how to become fully keto-adapted. It's a fun conversation you won't want to miss! - Vanessa Collette from "Ketogenic Girl"
The greatest nemesis in any given diet plan is hunger. When you are hungry, then your body starts to scream at you to feed it more food by giving you clues like hunger pangs, fatigue, and other such symptoms. But a Harvard-based pediatric endocrinologist, medical school professor, and nutritional health researcher named Dr. David Ludwig (listen to Jimmy's previous interview with him in Episode 403) from DrDavidLudwig.com would argue that it's not necessarily the overeating that has made us all fat--instead, it's getting fat that makes us overeat. This is why we are constantly fighting the desire to consume more and more to try to satisfy that persistent physical cue to eat. 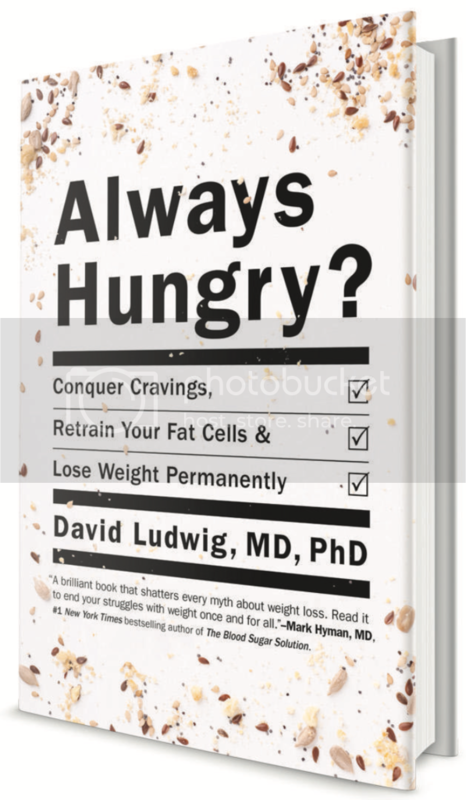 It's the premise of Dr. Ludwig's brand new New York Times bestselling Always Hungry? : Conquer Cravings, Retrain Your Fat Cells, and Lose Weight Permanently. Listen in for this fabulous discussion between Jimmy and Dr. Ludwig. - Dr. Ludwig's JAMA paper: Increasing Adiposity: Consequence or Cause of Overeating? - RELATED PODCAST: The LLVLC Show #403: Dr. David Ludwig: Are Carbs Turning Your Kid’s Liver Into Foie Gras? An out of control appetite is the nemesis of many would-be dieters with high hopes for losing weight and improving their health. But for Dr. Bert Herring, MD from BertHerring.com, he understands why people overeat and is now seeking to help patients correct this problem. Dr. Herring is best known for his book on intermittent fasting entitled The Fast-5 Diet and the Fast-5 Lifestyle (listen to Jimmy's previous interview with him in Episode 503). But in his latest book AC: The Power of Appetite Correction, Dr. 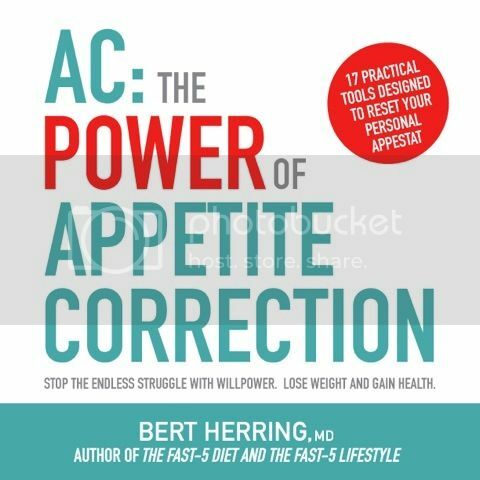 Herring gives practical guidelines based on conversations with his "Fast-5ers" for correcting the appetite disorder that is leading to overconsumption of food. Listen in as Jimmy and Dr. Herring discuss this important topic that directly impacts obesity and chronic disease rates. When you think about making healthy version of various health cuisines from around the world, one of the most challenging would have to be Italian. 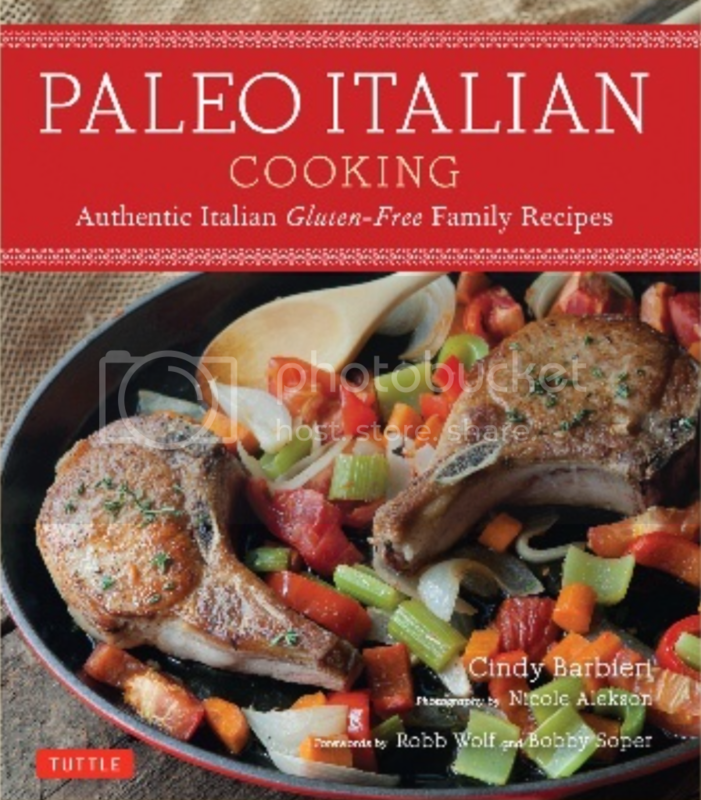 But for cookbook author, food blogger and entertaining expert Cindy Barbieri from CindysTable.com, she says it's no problem to prepare seasonal, authentic, easy-to-make, family-style Paleo Italian cuisine. And now she's written an entire book of delicious, mouthwatering Italian dishes with her brand new Paleo Italian Cooking: Authentically Italian Gluten-Free Family Recipes. When Cindy adopted the Paleo lifestyle, she found that many of her family's Italian recipes were already Paleo, while others could be easily adapted with a few simple modifications and no loss of authentic flavor. Cindy has been featured on some pretty major television media, including The Dr. Oz Show, Better, as well as The Food Network's Cutthroat Kitchen. Listen in as Jimmy and Cindy have a fun discussion about healthifying Italian food.